Damien Mooney was the pick of the Irish on day one of Staysure Tour Qualifying School Final Stage after posting an opening one-over-par 72 in Portugal. Mooney returned a mixed bag of four birdies and five bogeys to grab a share of 12th spot heading into round two with only five Tour cards on offer this week. Unfortunately it wasn’t such a good day for Brendan McGovern who has work to do despite posting four birdies of his own at a windy Vale da Pinta. 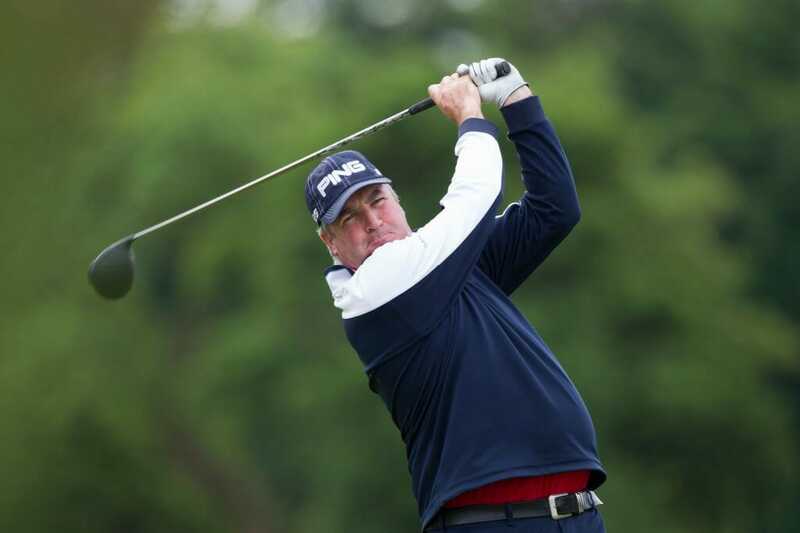 The Headfort professional’s good work was undone by eight bogeys in tricky conditions and he now finds himself in a tie for 46th position on four-over-par. At the head of affairs, Jean Pierre Sallat seized the initiative on the opening day, posting a six-under-par 65 to hold a three-shot advantage at the top of the leaderboard. The Frenchman was undeterred by the windy conditions, which hampered many of his competitors, signified by finishing his round as the only man to avoid a blemish on the card. Sallat, a former professional footballer, will take a three-shot lead into the second round ahead of America’s John Inman, who carded a three under 68 with Simon P Brown, Neil Cheetham, David Morland IV and George Ryall, who finished eagle-birdie, a shot further back on two-under-par following rounds of 69. The wind was swirling as André Bossert and Andrew George hit the first tee shots of Qualifying School Final Stage at 9am ahead of what proved to be a tough day of scoring for much of the field. However, by the time Sallat made his way to the first tee in the penultimate group of the day, the swirling wind had turned to a gentle breeze and the opportunity to pick up birdies suddenly appeared. As the likes of Inman and Brown battled back from early bogeys to move into the red, Sallat immediately began picking up shots with gains at the second, fourth, sixth and eighth to make the turn at four under par before further birdies arrived at the 11th and 15th, ending the opening day on top of the pile. With three rounds remaining in the quest for one of five Staysure Tour cards, Sallat recognises there is a long way to go but takes great pride in the way he played on day one. “It is a great day,” said Sallat. “I played very good golf all the way round and carded no bogeys, which is important on this golf course. “I had no bogeys today because my iron play was good and my putting was great. I hope to do more of the same in the next three days. “I will take it one shot at a time and make sure my concentration levels are very high. I just want to concentrate on hitting my tee shot onto the fairway and my second shot onto the green and then take my time over my putt. The second round will begin at 9.00am local time on Tuesday January 29.